The founding meeting of a new party solely dedicated to serving the gay, lesbian, bisexual and trans* communities will be held Tuesday in Tel Aviv. 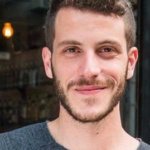 Imri Kalmann, former chair of The Aguda, the Israeli LGBTQ Task Force, who turned to politics, is now founding a LGBT Political Party. Kalmann was active in Meretz and even briefly ran for a position as its leader, but said he realized that the only way to truly help the LGBTQ community was to form a new party. Kalmann complained that while many parties send MKs to gay pride rallies and fly the colorful flag of the LGBT community, it is much more rare for those parties to hire gay staff members. He himself applied for a job in Meretz and did not receive it. Kalmann said he was not overly concerned about passing the 3.25% electoral threshold. He said the Tel Aviv gay pride parade attracts some 250,000 people every year, which he said makes it Israel’s second largest annual event in one place after the Lag Ba’omer festivities on Mount Meron. “That proves a lot of people see it as an important issue and part of their values and all that is missing is their right to vote for it,” he said. Kalmann has already decided that he will not head the party. He would prefer to attract well-known LGBT figures to run on the party’s list. Gili Mosinzon, a bisexual basketball player, has already expressed interest. Kalmann would also be interested in gay Zionist Union MK Itzik Shmuli and former Peace Now head Avi Buskila. He said the party would field a balance of gay, lesbian, and trans-gender candidates. Besides Shmuli, the only current MK who is openly gay is Amir Ohana (Likud). There are many gay candidates running for the next Knesset including Shmuli, Ohana, religious lesbian activist Zehorit Sorek (Yesh Atid), former haredi lesbian Heidi Moses (Likud) and Buskila (Meretz).